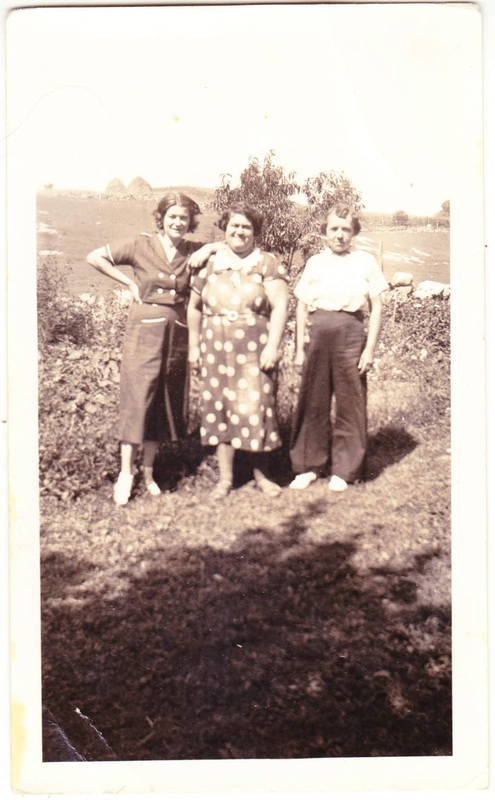 This old snapshot, which measures 2¾ inches wide, features three women standing side-by-side in a backyard or field. 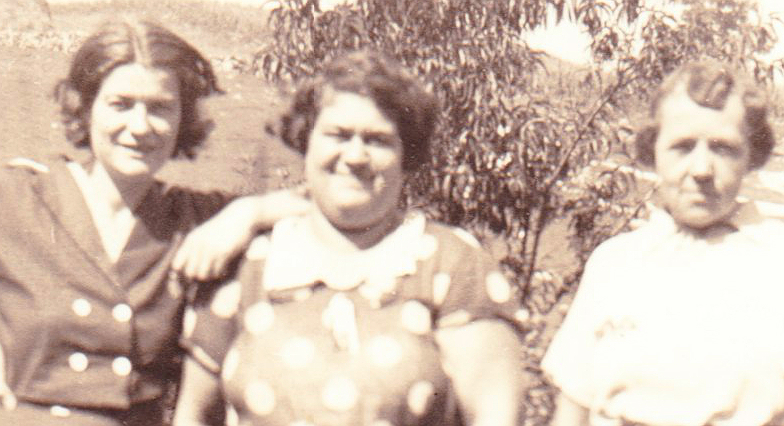 In the far background, on the left, are what appear to be a pair of haystacks, but that's just my guess. Click on the Mysteries label here or at the bottom of this post for more mystery snapshots and real photo postcards from the archives.